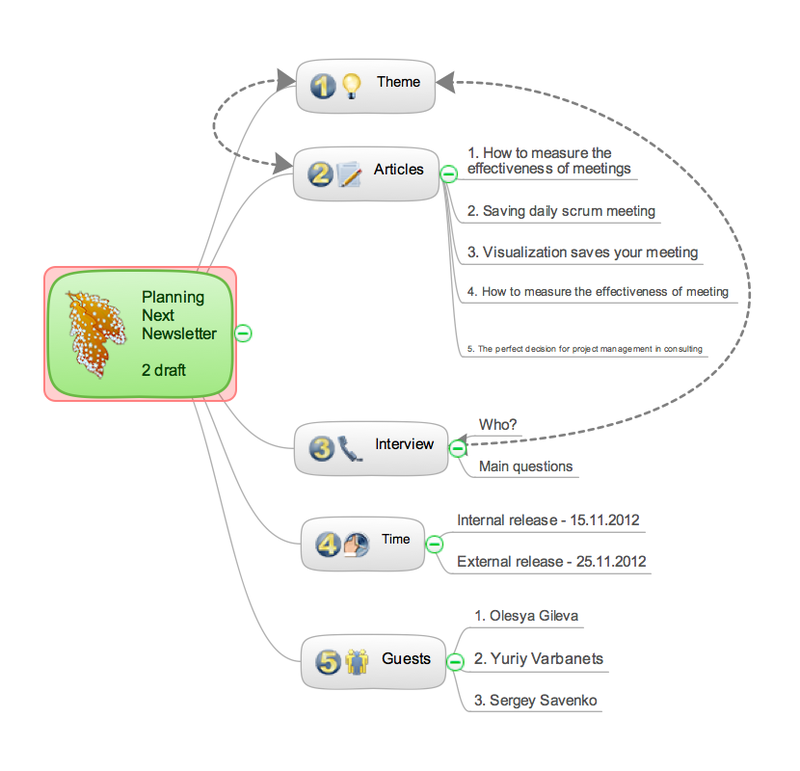 Samples of Mind Maps are created using ConceptDraw MINDMAP v10 software designed for effective team and personal work in Business, Marketing and Project Management, and used to generate, visualize and structure ideas. 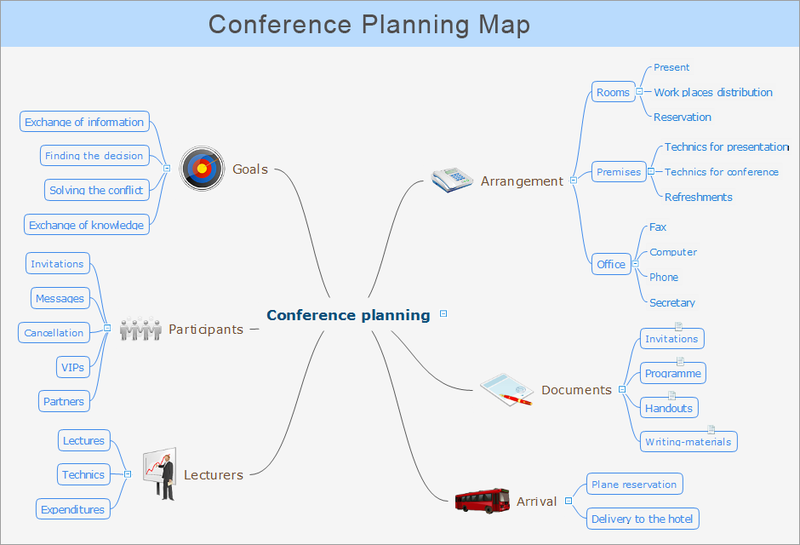 Use ConceptDraw MINDMAP v10 for creative thinking, planning, organization, problem solving, critical thinking, presentations, decision making, notes taking, team brainstorming and other tasks. 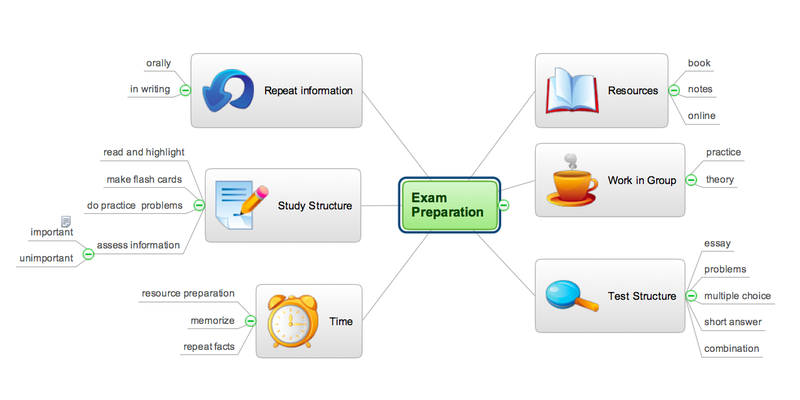 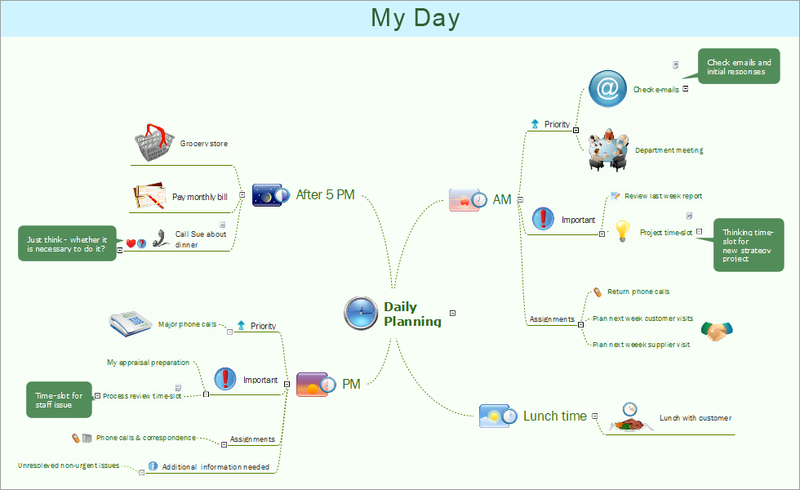 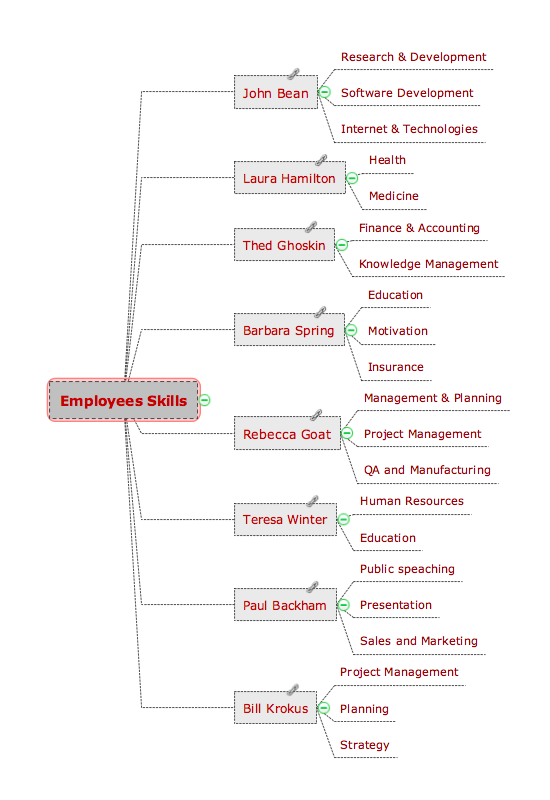 This example is created with ConceptDraw MINDMAP mind mapping software enhanced with Idea Communication solution from ConceptDraw Solution Park. 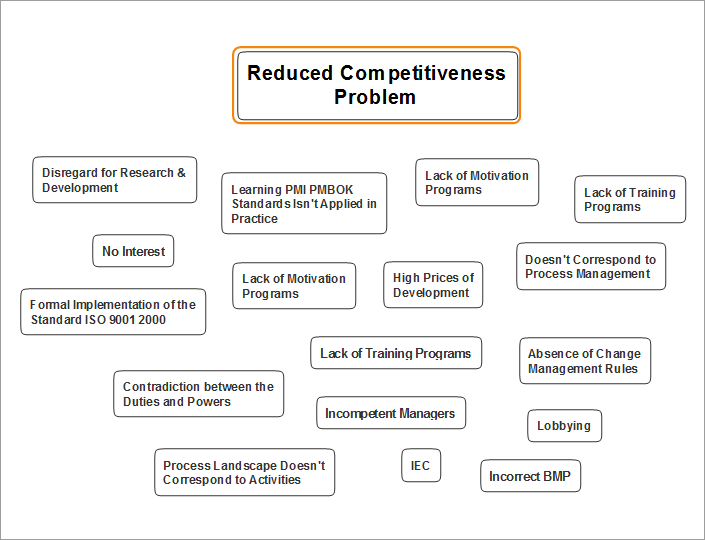 Mindmap sample: Reduced competitiveness problem. 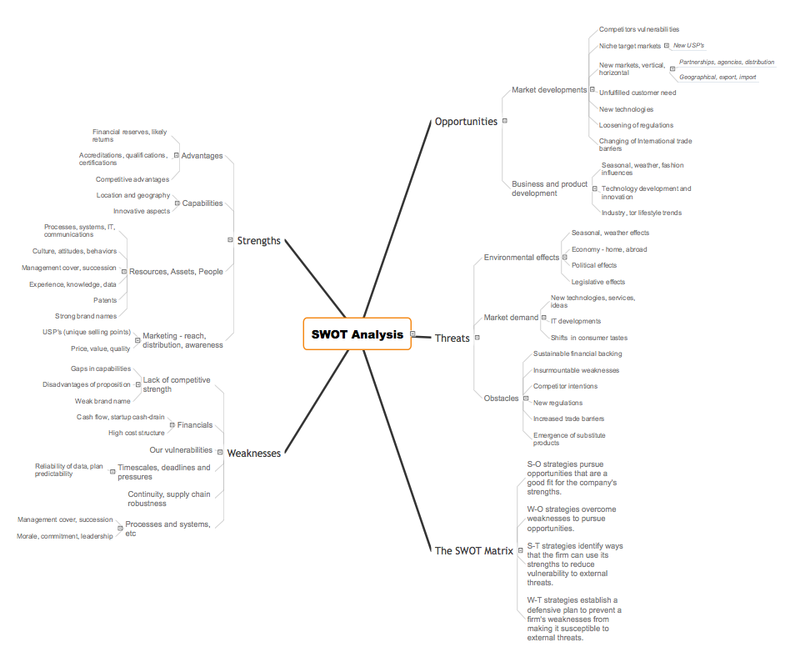 Mindmap sample: Porter's Five Forces. 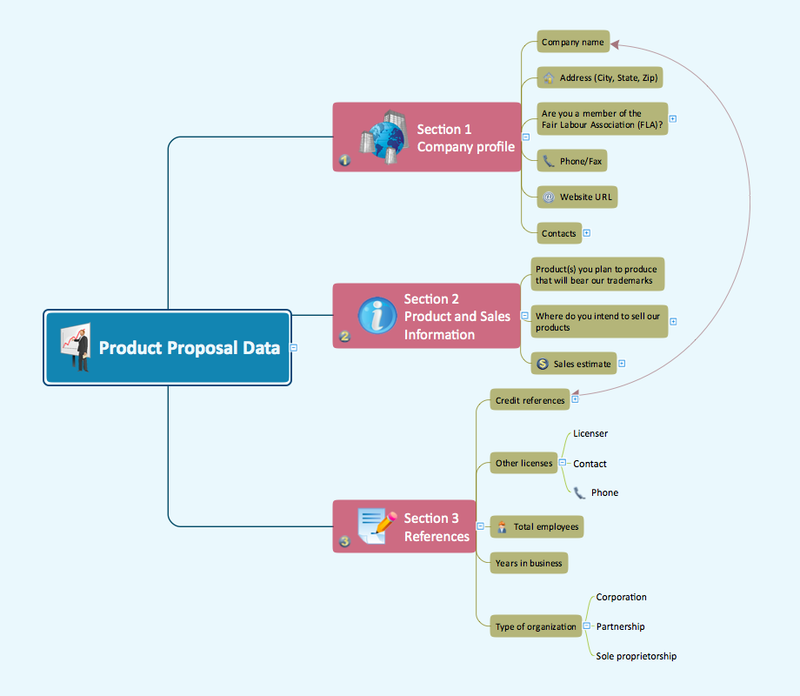 Mindmap sample: Product Proposal Data. 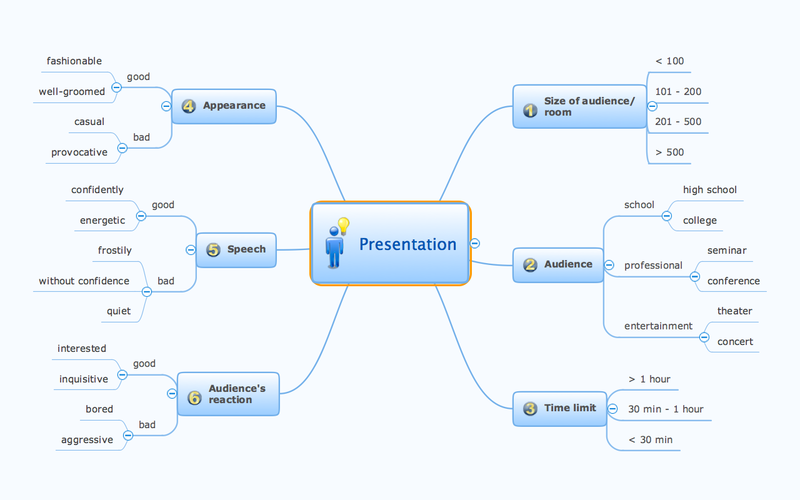 Mindmap sample: Product Proposal Documents. 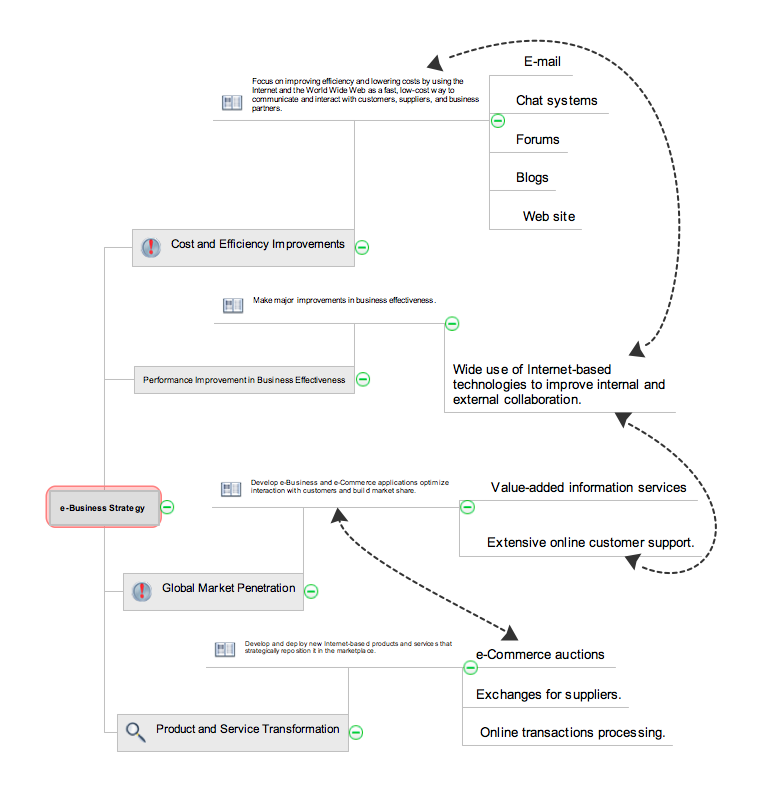 Mindmap sample: Online Store System Development. 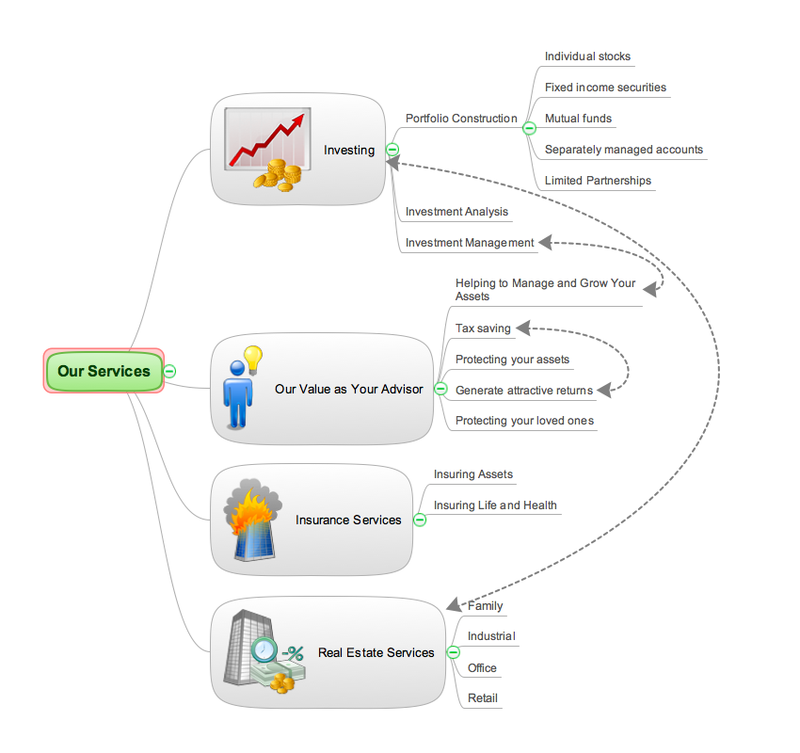 Mindmap sample: Regional Airline Business Plan.